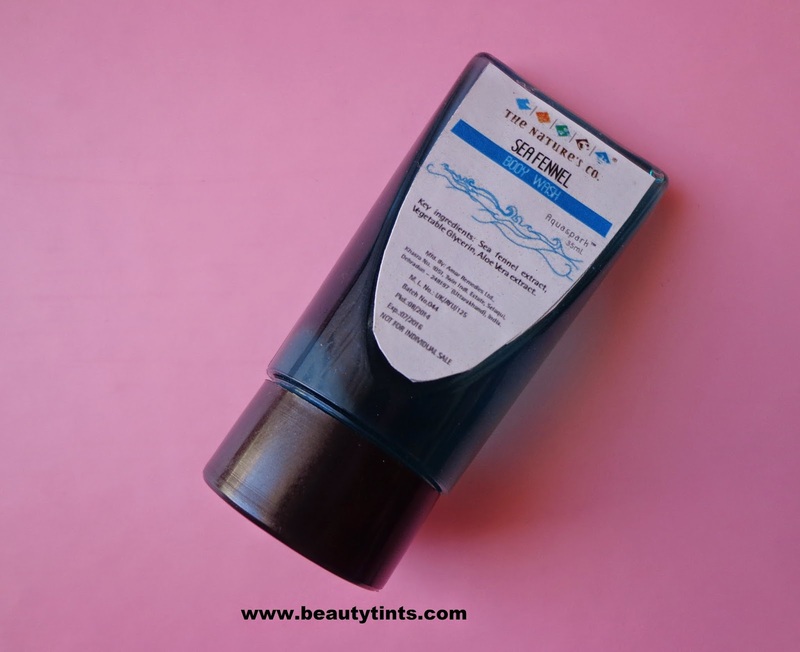 As a part of the Sample Series-3 today I am reviewing The Nature's Co Sea Fennel Body Wash,which I got in the September Anniversary Special Beauty Wish Box. Availability : Available in few online stores.You can buy it from their Website here and here. 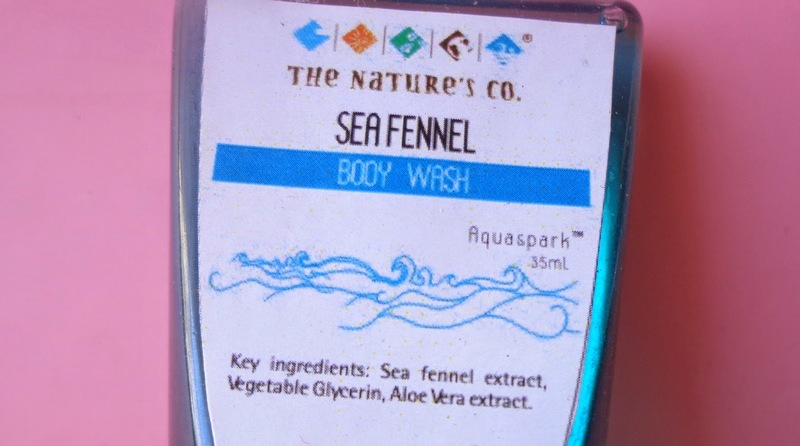 What the product Claims : Get the goodness of the sea with our Sea Fennel body wash. 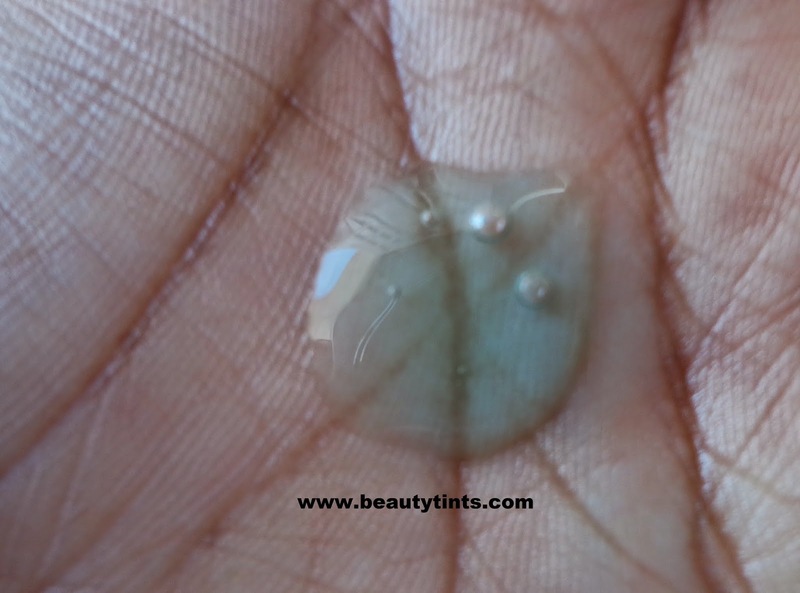 It will help hydrate and replenish your skin leaving you refreshed and smelling great. This cleansing body wash lathers up in the bath or shower, leaving your skin feeling refreshingly clean, smooth and lightly scented. 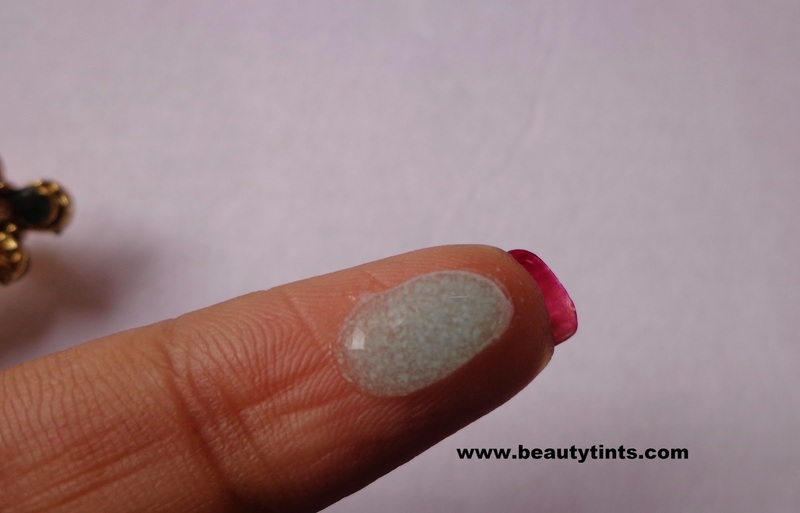 My View On the Product : I got 35 ml sample which lasted me for more than 7 uses, as little quantity is required every time. 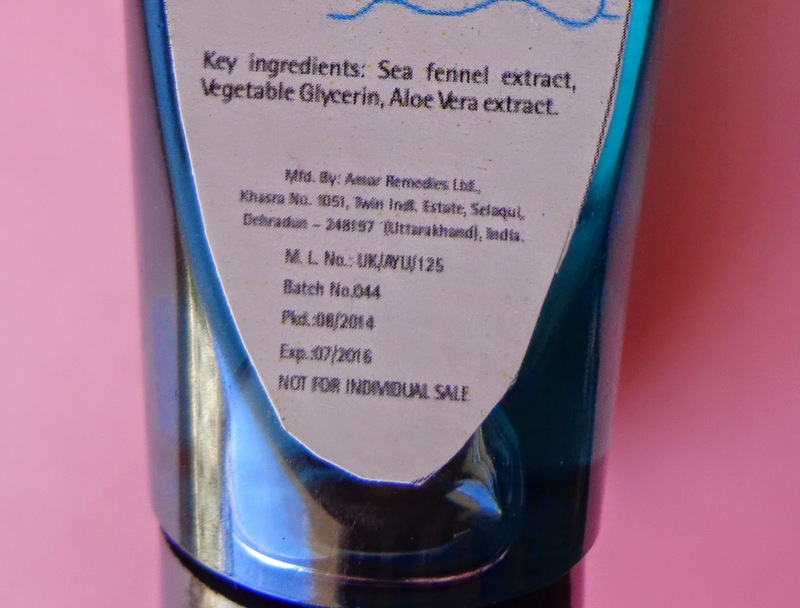 This Sea Fennel Body Wash is from their Aqua spark range and it is a bluish-green thick gel kind of a wash which lathers well.It makes skin clean and refreshed, it gets removed completely with out leaving any residue behind.It has very fresh aquatic scent which lasts for a while after bathing.It has the goodness of Sea Fennel extract,Aloe-vera extract and glycerin.It does not dry out skin post usage.This body wash is a good choice for the winters.It makes skin noticeably smooth and radiant.It is free from Parabens and harmful chemicals,it is against animal testing and is 100 % vegan like all other Nature's Co products.Full size product comes in a square transparent bottle similar to their body washes and shampoos.The samples also came in a sturdy tube,which is quite comfortable to carry during the travelling. 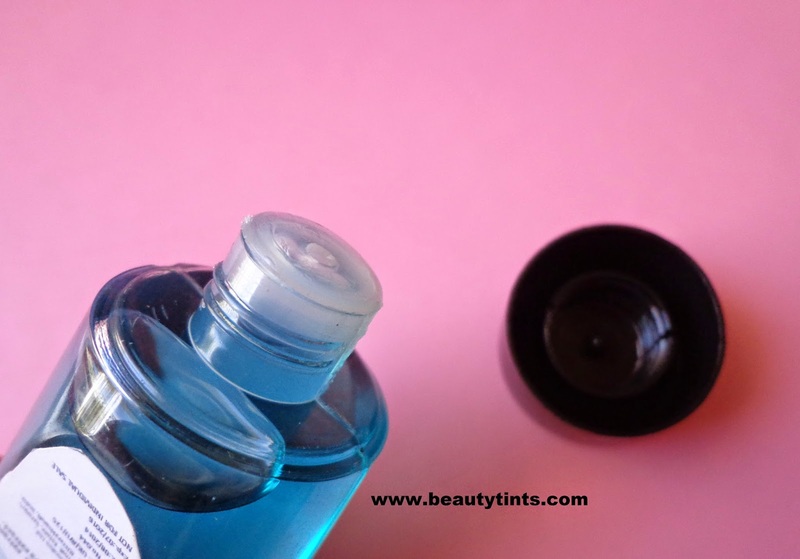 Conclusion : Those who love aquatic scent and gel body washes should definitely try this.This is one of the best body washes for the winter.